A Perris couple suspected of forcibly keeping a dozen of their children, some of them adults, in squalid conditions and with several shackled to their beds were behind bars Monday. 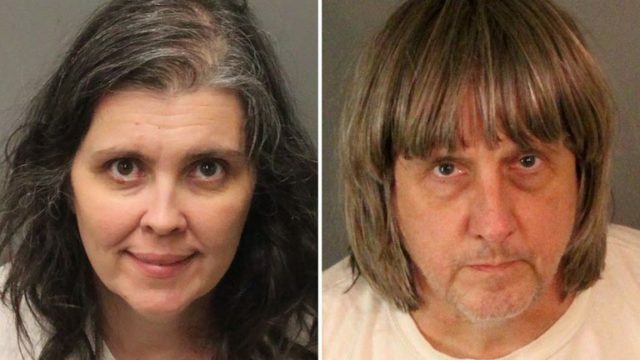 David Allen Turpin, 56, and his wife, 49-year-old Louise Ann Turpin, were arrested Sunday on suspicion of committing multiple acts of torture and child abuse. Both are being held in lieu of $9 million bail at the Robert Presley Detention Center in Riverside. According to Riverside County sheriff’s officials, an investigation was initiated Sunday morning after a 17-year-old girl fled from the suspects’ residence in the 100 block of Muir Woods Road, near Goetz Road. The victim, whose identity was not released, used a mobile phone to call 911, reporting that her 12 brothers and sisters were imprisoned within the home and in need of help, according to the sheriff’s department. 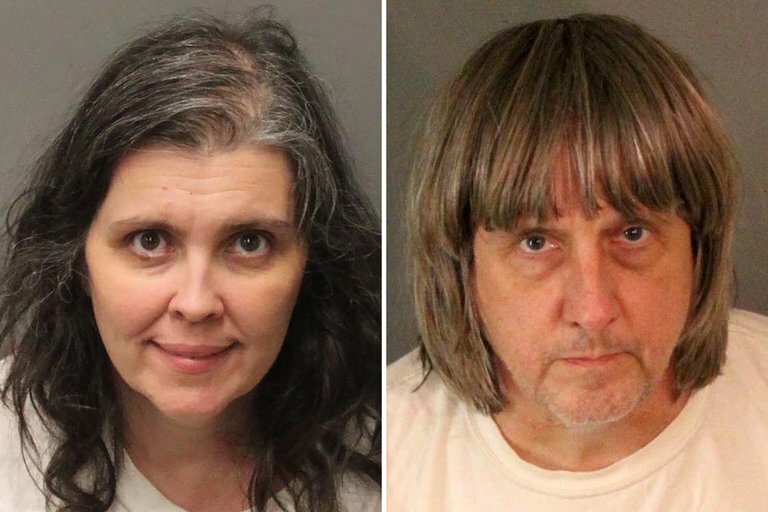 Deputies spoke with the girl, who appeared to be much younger and slightly emaciated, then went to the house to speak with the Turpins, officials said. “Further investigation revealed several children shackled to their beds with chains and padlocks in dark and foul-smelling surroundings, but the parents were unable to immediately provide a logical reason why their children were restrained in that manner,” according to the agency. Several of the victims told deputies they were starving. The 13 individuals removed from the home ranged from 2 to 29 years old. The six younger children were taken to Riverside University Medical Center in Moreno Valley for treatment, officials said. The seven adult-aged children will taken to Corona Regional Medical Center. They were placed in protective custody, under the care of either county Child Protective Services or Adult Protective Services personnel. Anyone with information was asked to call the sheriff’s Perris station at (951) 210-1000.